A pH meter is an electronic device that measures pH, which is the acidity (low pH state) and alkalinity (high pH state) of substances, via a glass electrode probe that emits a small voltage and measures the quantity of hydrogen ions attracted to it. pH meters loose some of their accuracy with every use. To prevent this, they need to be calibrated on a daily or weekly basis. Calibration is done using measuring substances, called buffers, with known pH levels, and setting the pH measurements of the pH meter to those levels. The pH meter uses these measurements as a guide with which to judge the accuracy of measuring other substances. Gather the equipment. Most of the items are available at chemical supply stores, plant supply stores and fish and aquarium supply stores. 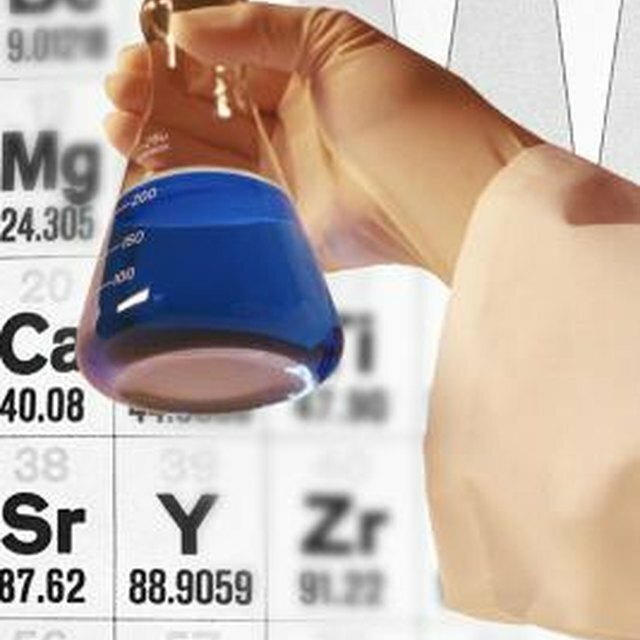 Get some Kimwipes, special tissue specifically made for cleaning pH meters for use with buffer solutions. If you cannot find Kimwipes, use a similar product. pH 7 and pH 10 buffers are required. Many substances fulfill these pH level requirements; pure water has a pH of 7 and milk of magnesia has a pH of 10. Put the rubber gloves on. Pour the buffer solutions and distilled water into individual glass beakers. Turn on the power to the pH meter. Take the pH meter electrode out of its storage solution, rinse it with distilled water and wipe it clean with a Kimwipe. Take the clean electrode and submerge it into the pH 7 buffer. Press the calibrate button and wait for the pH icon to stop flashing. Press the calibrate button once again after the flashing has stopped. Rinse the electrode again with distilled water and wipe clean with a Kimwipe. Take the newly clean electrode and submerge it into the pH 10 buffer. Press the measure button once the page icon stops flashing. Rinse the electrode with distilled water again and press the measure button. Rinse the electrode again and wipe clean with a Kimwipe. The pH meter is now ready to measure the pH of other substances. 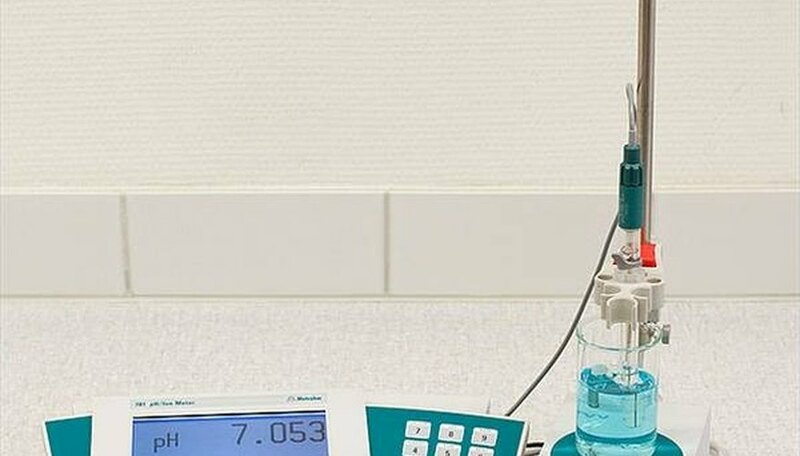 Rinse the electrode with distilled water and wipe with Kimwipe after each measurement to prevent contamination of the substances being measured. Wear gloves when working with pH meters and acids or bases to prevent contamination of the pH measurements and to prevent skin contact with harmful substances. The pH meter's electrodes will dry out and deteriorate unless kept in their storage solution when not in use; proper maintenance also requires that you inspect the solution and replace it periodically to prevent contamination of the electrodes. Gugie, John. "How to calibrate a pH meter." Sciencing, https://sciencing.com/calibrate-ph-meter-4796148.html. 24 April 2017.